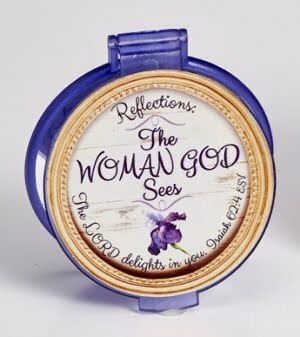 Reflections: The Woman God Sees, mirror in purple with floral design and features The Lord delights in you. Isaiah 62:4 ESV. Compact mirror with frosted acrylic case.Includes pocket-sized accordion fold booklet.